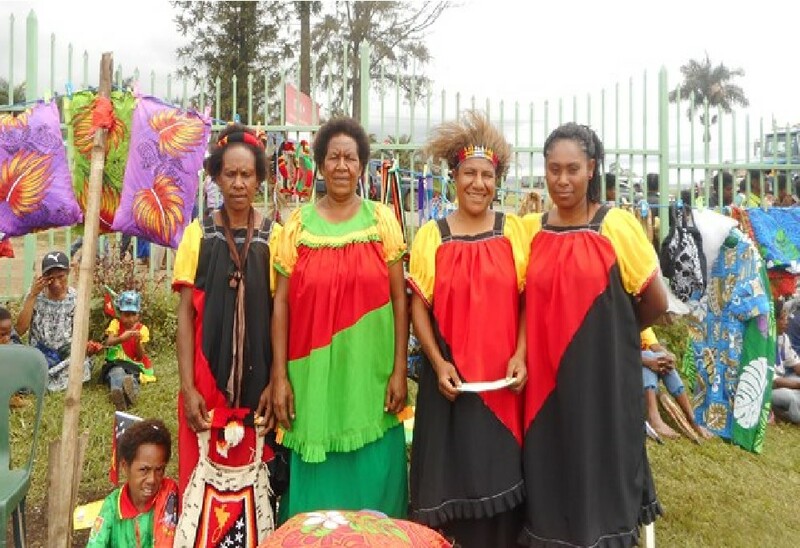 Mercy Works Provincial Expo was held on the 10th to the 14th of September 2018 along with the week of independence festivities. Prior to the event all partners of Mercy works (youth and cooperative groups inclusive) were informed of the event. 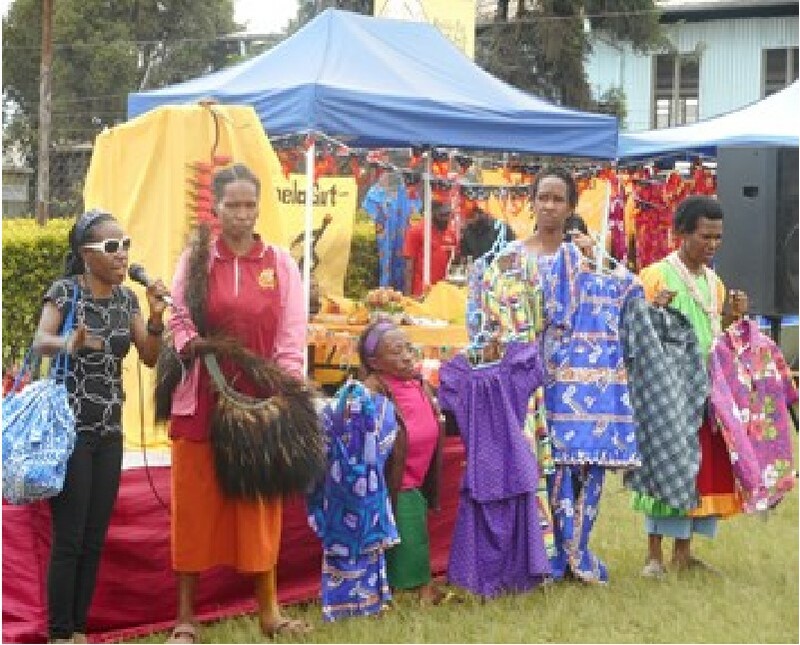 The expo was a maiden event Mercy Works office in Goroka. The purpose of the expo was to promote production and specialisation in light of produce of individuals from all walks of life – irrespective of background, nationality, provincial, district or ethnic group. 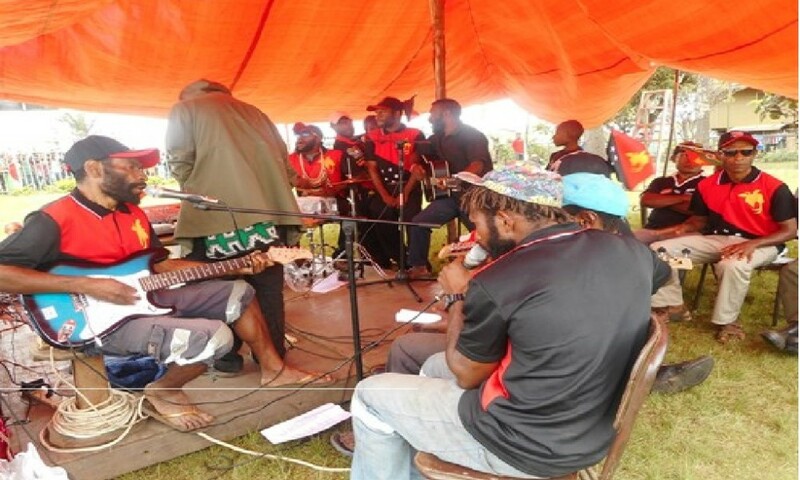 Groups who attended were Asukave Stone women’s group; Stoney Kintunu group; Daisy group; Queen Bee; Eiyamo Meri Group; Meri Group; 7 norths; Piswara angles youths; Yamiufa youths; Mando youths; DAA Corp.; Clara Joseph and Seven Mile youths; Roy with 3 in 1 stock feed; Atogo Krumountain youths and group; printing press with Mathew and Master; Walk the Talk against Cancer ground committee; Merolyn form Obura Wanianara. Each group was shaded with an individual tent or umbrella provided either by the office of Mercy Works or by themselves. Preparation of the expo started from 8:30am every day and the expo commenced each day from 10:00am and ended at 2:30pm from Monday to Friday respectively and consecutively. 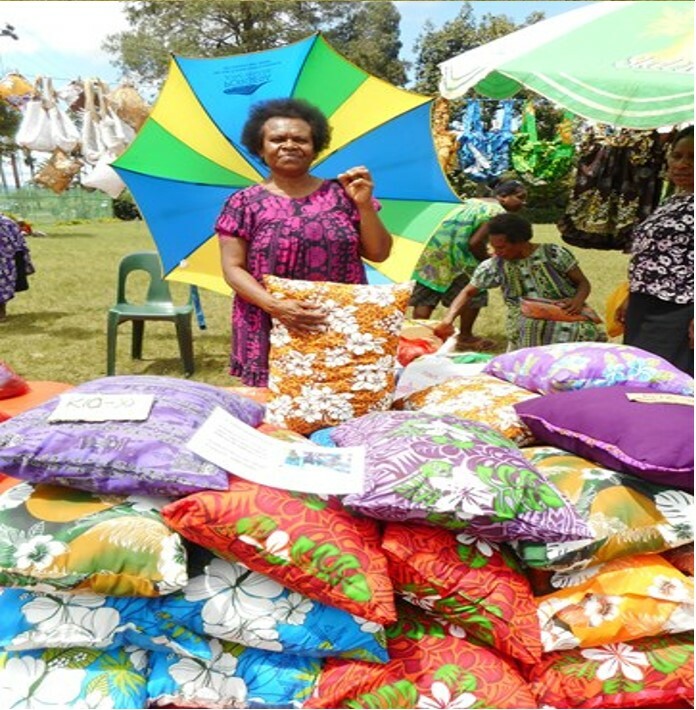 Friday was the cream of the expo as it was the Mercy Crazy day and was hosted by the director of Mercy Works-Goroka, Sister Maryanne Kolkia RSM. The day was filled with showcasing the products of each group and partner and intangibly advertising their capabilities in their different field of specialisation. This was the event where credibility holds hands with integrity to walk through the shadows of doubt, to bask in search for its numerous companions in this challenging business and education driven world to find their place. It was the event of the neglected and overlooked to sprout out and shine. It was the meeting point which gave rise to the silent majority of the bottom layer to shout out to the second and top layer of the triangle; what about us?! 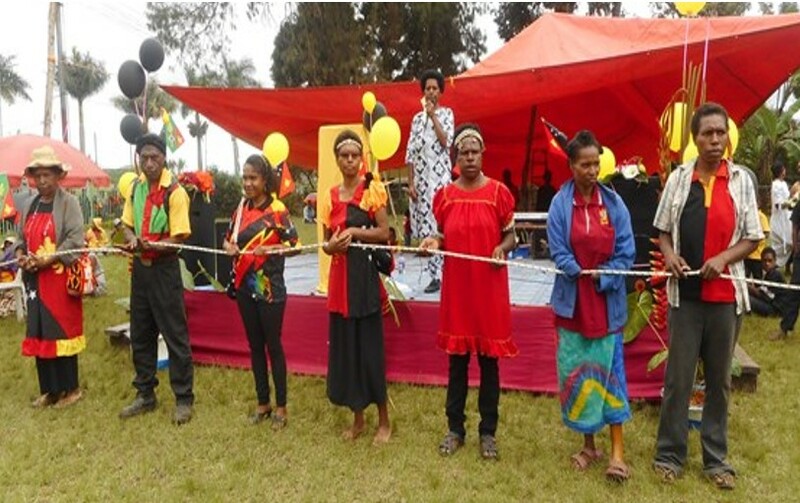 The event also marked the 12th birthday of Mercy Works in Goroka and was witnessed by general public of old, youths, adults and children who were preparing and geared up for the coming Goroka show to commemorate 16th September independence day on the weekend. 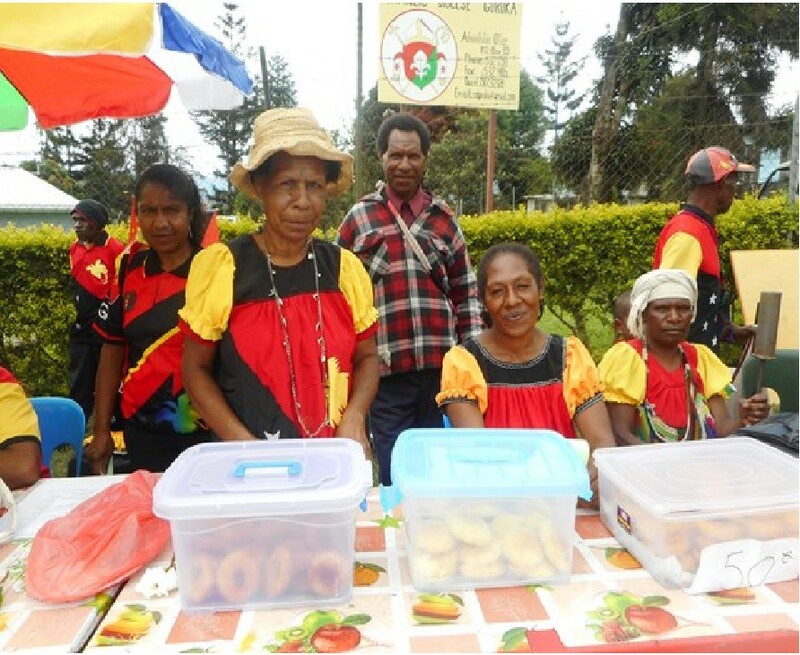 Piswara angles youths and Yamiufa youths 1 and 2 were specialised in baking and gardening, and thus, advertised their produce of flavored merry biscuits and crunchy cookies respectively. DAA Cooperative had their specialty in baking. Headed by their chairman Henrick Bin – baked delicious and mouth-watering pies. The baking faculty fed the hungry tummies of the population in the arena. Clara Joseph and Seven Mile youths came with their craftsmanship of flower pots, beads and chicken from their poultry. 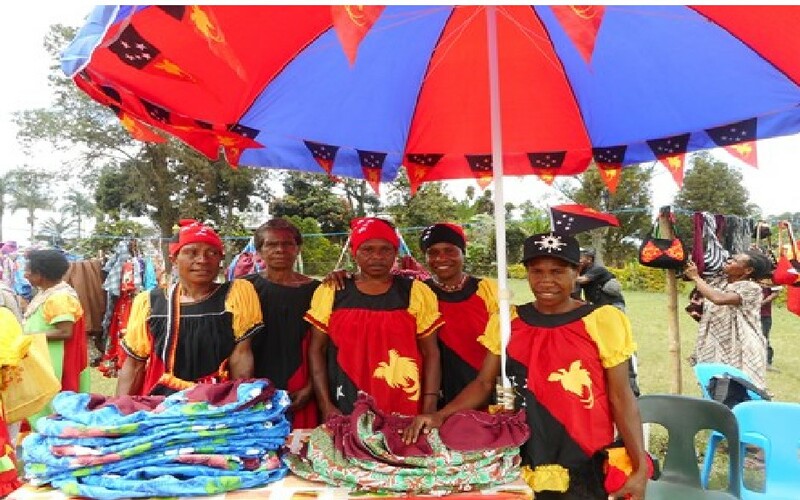 Roy from Kia road in Ungai/Bena district specialised in 3 in 1 stock feed and produced two 20kg bags to display. 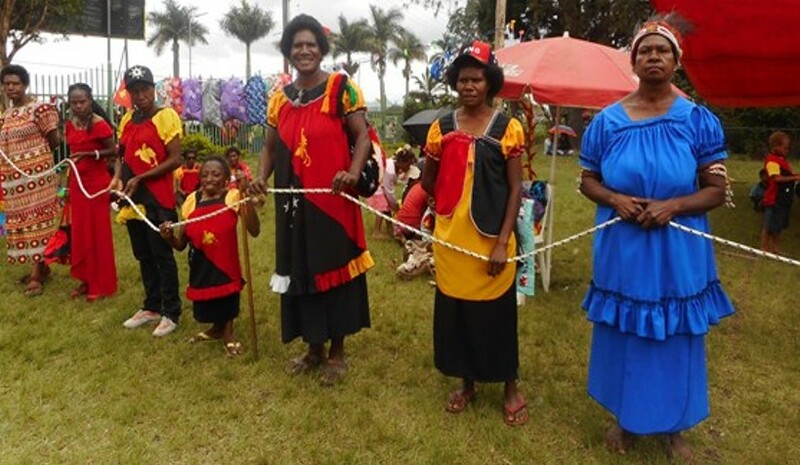 Atogo Kru-maunten youths and group displayed their craftsmanship of fork made from bamboo and potatoes from their gardens. The audience kept the printing press busy with Mathew and Master printing on their cloths and charging K5.00 for the paint, screen, effort and skills. Walk the Talk against Cancer ground committee display their product of poultry as live chicken plus awareness and advocate on cancer and different produce of tourism and hospitality. Mando youths were specialised in fish farming and thus spectacularly displayed their produce as live fish with many beautiful colors. Evaluations and reports has it that most of their products were purchased and interested individuals and business houses are placing orders. All these activities attracted by passers, on-lookers and many other interested individuals who were keen and curious. Friday gave the host a special treat with live on stage band play with Mercy Miraculous Band making its debut attracting attention of the general public that filled the arena to capacity while the audience clung on the fence outside struggling to get a glimpse and taste of the occasion. A special visiting team from Mt. Hagen was the blessing of the day. Representatives were invited to present a speech. Most of the speeches were of gratitude and acknowledgements to Mercy Works for the life skill and eye opener to reality and chance to participate in the business environment. Then followed by parade of products from fashion to beauty kits, farming products, food, science/ chemistry technology and baking which cheered up the audience. The event ended with representatives from each group (12 individuals) holding a rope to symbolise business chains in production and specialisation with unity and the slogan of ‘leave no one behind’. All displays sourced its training courtesy of Mercy Works on different life skills. 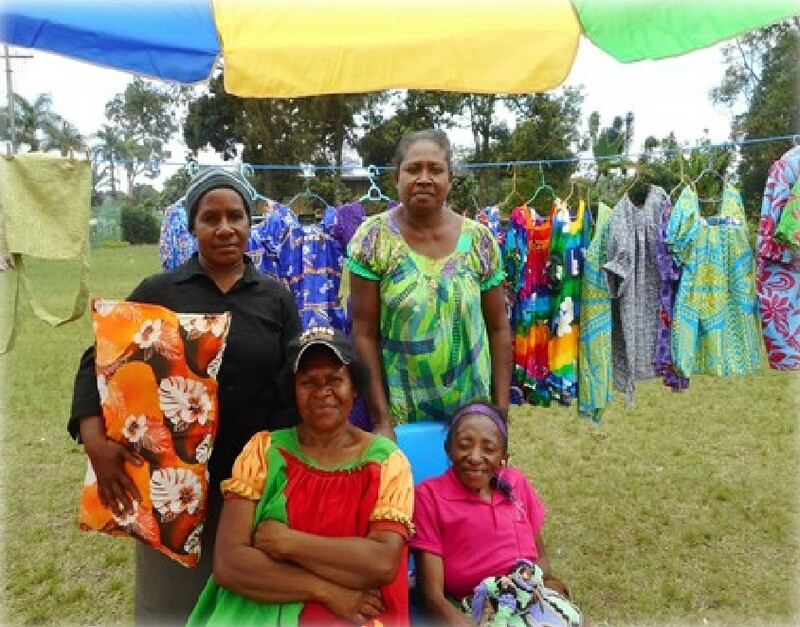 On the tailoring department the eloquent Judith Tetos and Alphonsia provided training in sewing skills. On the food, science/ chemistry and appropriate technology; baking department; and tourism and hospitality they had the naturally talented and gifted John Ruby and Theresa Keke. On the office runs, Dorothy Nige as the admin staff, Magret Andrew as the female youth leader, Arnold Paglau as the youth mentor as well as — and John Kerenga as the male youth advocate and driver. 12 individuals holding a rope to symbolise business chains in production and specialisation with unity and the slogan of ‘leave no one behind’. Mercy Works is a faith base organization which creates employment for the eight staff under the stewardship of our director Maryanne Kolkia RSM and assisted by Janet Andrew RSM. The journey of fighting poverty with the silent neglected majority has span over 12 years for this office to date and God knows the destination of this journey is in space and time. Thanks to our Mercy friends and partners who make this happen for the poor and the needy to be self-reliant through this program for people to be self-empowered and self-sustained with self-employment activities.